From 1965 to 1974, Americans watched “The FBI,” a highly fictionalized TV drama supposedly based on real stories from the files of the Federal Bureau of Investigation. J. Edgar Hoover, the legendary director of the Bureau since 1924, made certain the series reflected the image of the FBI that he wanted seen. Didn’t smoke or swear, never used illegal bugs or wiretaps, and seldom fired a gun. Never cheated on their wives. Never suffered marital problems from the strains of an FBI career. Could summon a helicopter—like the show’s hero, Inspector Lewis Erskine—with the snap of their fingers. Yet none of this mattered to the millions who tuned in every week to make this one of the highest-rated series on TV. After decades of a generous self-advertising campaign, Americans generally saw the Bureau as not simply incorruptible but infallible. When agents zeroed in on a criminal—a bank robber, terrorist or member of the Mob—he was as good as caught. So it would have been unimaginable to such an audience that the greatest threat to the Bureau would come not from the KGB or Mafia hitmen, but from the President of the United States. Yet, 53 years after “The FBI” premiered on the ABC network in 1965, that is exactly the case. 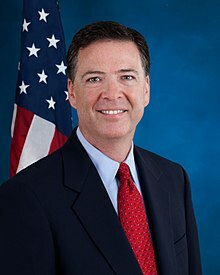 On May 9, 2017, FBI Director James B. Comey was brutally fired without warning by President Donald Trump. Trump has since given several explanations why he did it. But the most convincing was the one he gave in the Oval Office to Russian Foreign Minister Sergey Lavov and Russian Ambassador Sergey Kislyak. Trump had tried to coerce him into dropping the FBI’s investigation into former National Security Adviser Michael Flynn, for his secret ties to Russia and Turkey. Comey had similarly resisted that demand. During that meeting where he disparaged Comey, Trump gave the Russian dignitaries sensitive Intelligence on ISIS that had been supplied by Israel. On December 16, 2016, Comey and Director of National Intelligence James R. Clapper Jr. had agreed with a CIA assessment that Russia intervened in the 2016 election in part to help Donald Trump win the White House. Since the FBI launched its counterintelligence investigation into collusion between Trump’s campaign and Russian Intelligence agents, Trump has repeatedly attacked the American Intelligence and law-enforcement communities. But he has yet to condemn Moscow for its election interference. In fact, he has—at least publicly—accepted Russian dictator Vladimir Putin’s assertion that the Kremlin did not interfere in the 2016 election. The shooting was not a Federal crime, since it didn’t happen on Federal property nor involve Federal officials. Trump has steadfastly opposed any efforts at gun control—while accepting $21 million from the NRA during the 2016 Presidential race. This was the largest contribution the NRA has ever made to a Presidential candidate. Trump was demanding that information about an FBI confidential source—in a probe directly relating to himself—be revealed to his cronies in the Republican party. Trump was desperate to derail the investigation by Special Counsel Robert Mueller into proven ties between Russian Intelligence agents and members of his 2006 Presidential campaign. So now he was creating a false charge—that he had been illegally spied upon by the FBI—to divert public attention from that investigation. With July 4—the 242nd anniversary of America’s Declaration of Independence—fast approaching, the outcome of Trump vs. the FBI remains to be seen.